Descriptors EN 1997 is intended to be used in conjunction with EN 1990:2002, which establishes the principles and requirements for safety and serviceability, describes the basis of design and verification and gives guidelines for related aspects of structural reliability. EN 1997 is intended to be applied to the geotechnical aspects of the design of buildings and civil engineering works. EN 1997-1 is intended to be used as a general basis for the geotechnical aspects of the design of buildings and civil engineering works. 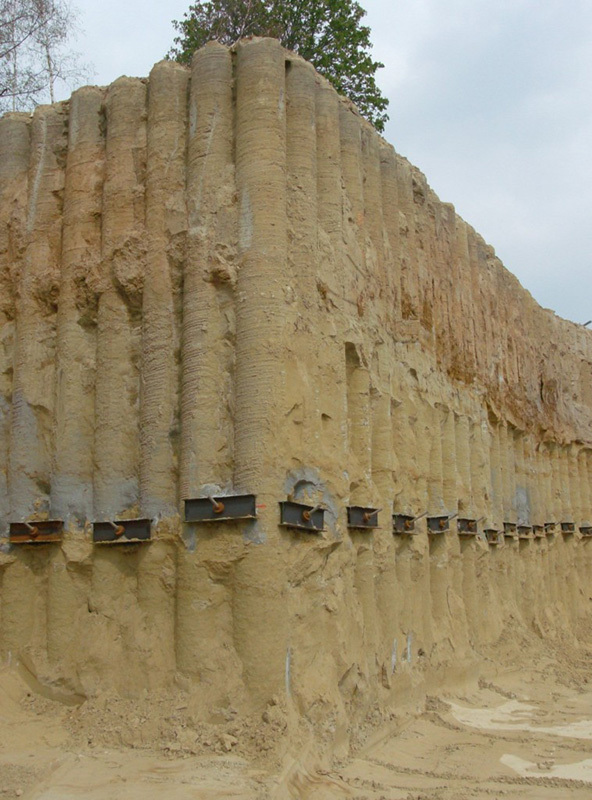 Cast in place concrete piles are also used for retaining walls of bored-secant piles. For instance, the picture shows piles 520 millimeters in diameter, 12 meters in length fixed by 9 meter ground anchorages.